In her post on the Edutopia Blog, Julie Coiro, Associate Professor of Education at the University of Rhode Island, suggests ways to develop skills in adolescents dealing with online information. Four strategies are outlined to assist in developing these skills of discernment. 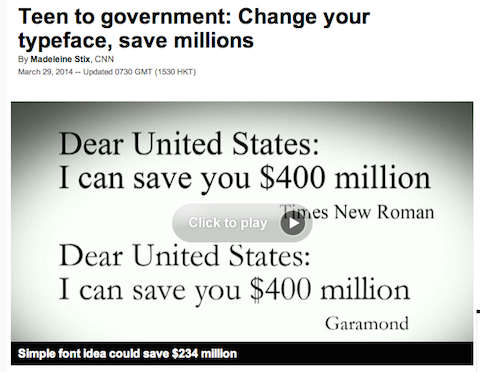 A science fair research project, about investigating ways to save money in his local school, led 14-year-old Suvir Mirchandani to discover that the type of font can minimise ink use and could not only potentially save money for his school but also millions of dollars for the Government. Madeleine Stix, CNN posts about this project. 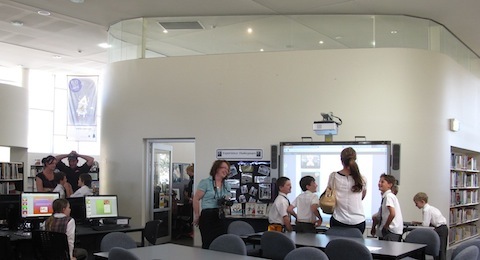 Last Friday afternoon two classes of excited Year 3 students came to the IRC with their parents to show them their work. After the teachers spoke of how the Guided Inquiry process had worked for them in practice, some of the students’ Vokis were demonstrated on the whiteboard. 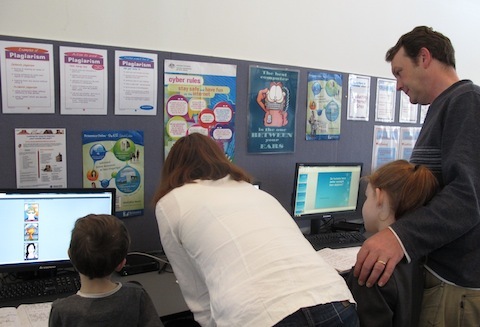 The parents then spent time with their child looking at their bookwork, their PowerPoints and their Vokis. The students had used the Guided Inquiry process, with Teacher Librarian support, to investigate their personally selected aspect of the human body. Besides learning about the Human Body they also learned a lot of reading skills, writing skills, thinking skills and ICT skills. 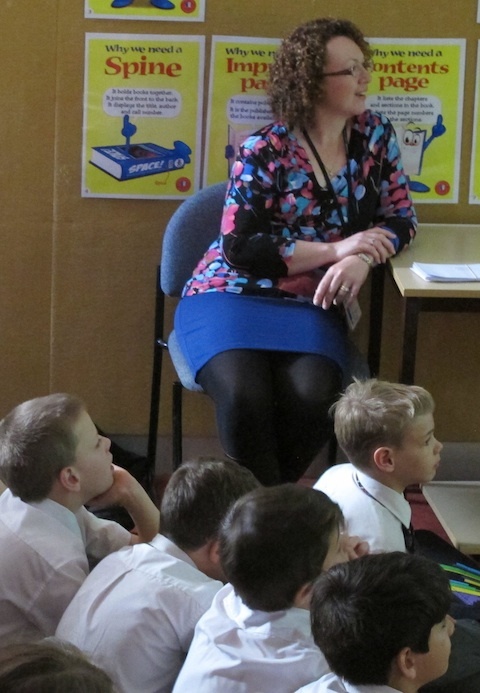 Books were the main source of information as our IRC collection has so many good books suitable for this age group. The students read a lot about the human body before selecting their favourite aspect to study. Writing their own questions was a lot of fun and some fabulous ideas emerged! The practical science experiments for this unit were also suggested and created by the students! Finally after they had investigated and written answers to their questions, they made a PowerPoint to teach the other students about their work. Then, for fun, they made a Voki summary. This also incidentally taught them a lot about spelling and punctuation as they tried to make their computer generated avatars ‘speak’ their presentations. Cardboard projects of the past cannot be compared to this exciting learning process! Every year Broughton’s Year 10 Commerce class uses Guided Inquiry to research a personally selected Issue in Australian Society. This unit of work will also be part of an ongoing Action Research project for the Teacher Librarian – looking at the impact of Guided Inquiry on student learning. The initial ‘OPEN’ stage of Guided Inquiry gives the teachers and students an initial experience within the topic area that initiates interest and enthusiasm. The following TED Talk could be used for this – as could many others. This clip could help to emphasise that students need to think about the ‘action’ they could personally take at the end of their research… How could they personally assist to overcome or reduce the impact of the issue they choose to research? We will also look at some clips of the ABC’s program Q&A where the audience asks politicians and invited experts questions about current issues. The vast majority of parents of minor children — children younger than 18 — feel libraries are very important for their children. 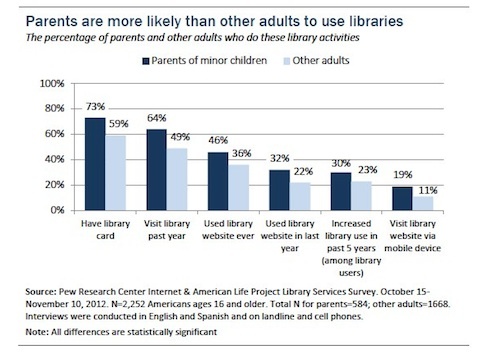 That attachment carries over into parents’ own higher-than-average use of a wide range of library services. 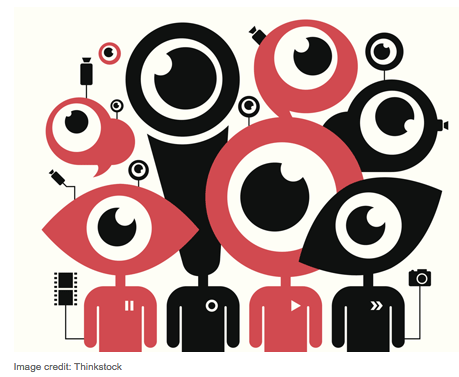 …This report is part of a broader effort by the Pew Research Center’s Internet & American Life Project that is exploring the role libraries play in people’s lives and in their communities. The Third International Research Symposium organised by the Center for International Scholarship in School Libraries (CiSSL)is taking place April 26-27, 2013 at The Heldrich Hotel, New Brunswick, NJ. It will be a celebration of 10 years of CiSSL and 30 years of Dr. Carol Collier Kuhlthau’s research centering on the Information Search Process and Guided Inquiry. The focus question of the research symposium is: How can schools prepare to deliver a 21st century education for digital youth? Action Research conducted over five years into the the use of Guided Inquiry by our Broughton teachers and students will be shared at this symposium. Our annual Book Fair has arrived and is ready for the stampede tomorrow. 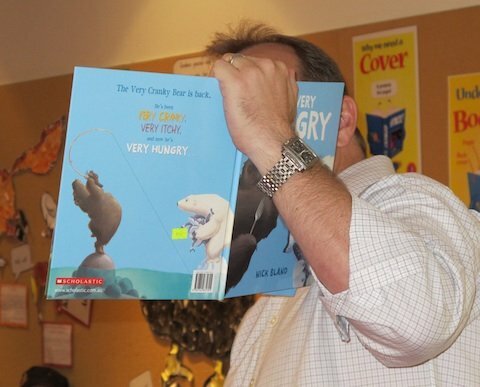 Murray, from Scholastic came today to give ‘book talks’ to all the K-6 students and as usual they were engrossed and enthusiastic about all the new books. We had read The very cranky bear together for National Simultaneous Storytime earlier this year so the Kindergarten students were very excited to her the new Nick Bland book The very hungry bear. The older students were shown a book trailer about how some of the new books are linked to online introductions and then for the actual ending of the story. This mix of digital, visual content with traditional hard-copy text is quite new and we will be interested to see how much the students enjoy this. Students are often observed floundering in multiple website pages of useless information, or information that lacks authority. 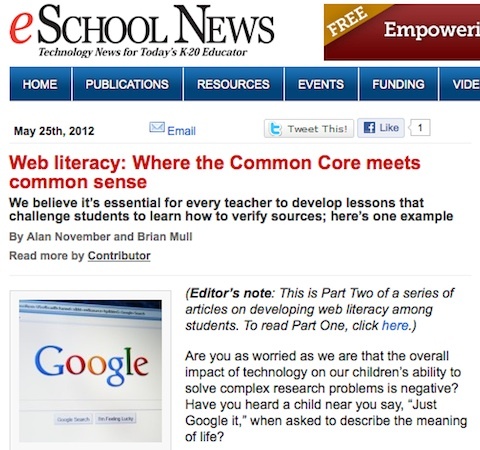 At Broughton, Internet skills are taught specifically when I am assisting teachers in collaborative units of work – but more needs to be done across the board to enable all teachers and parents to guide students’ access to information and online activities safely, ethically and with authoritative results. 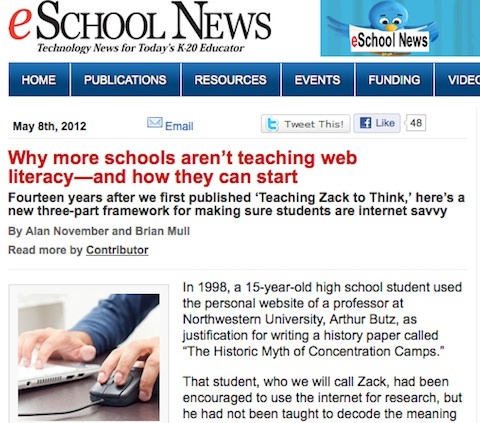 These two articles in eSchool News describe the dilemma – and what we as parents teachers and Teacher Librarians need to be doing. Critical thinking skills are extremely important in order for students to be able to search and find relevant information to meet their research needs. This video clip states that there is now a new digital divide – “those that are able to search and those that are not able to search.” Google provides online tools, webinars and lesson plans to help teach students search skills. Many students go straight to the search box without noticing the many extra tools that help to narrow the search field down to relevant information. AND…Don’t forget that our school library offers Teacher Librarian support and seminars to improve information and digital literacy. 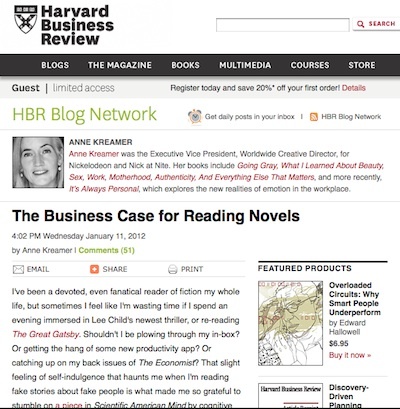 The Harvard Business Review has a post pointing to research that shows the benefits of reading fiction. For Australians 2012 is the National Year of reading. Emphasis will be placed on this in this library blog as we endeavour to focus on the benefits of reading and especially to gather and share the research that will promote reading for information needs and also for recreation.